Hometown: Belle Mead, New Jersey, U.S.
Died: September 19, 2006 in Operation Iraqi Freedom. Unit: Army, 549th Military Police Company, 385th Military Police Battalion, Fort Stewart, GA. 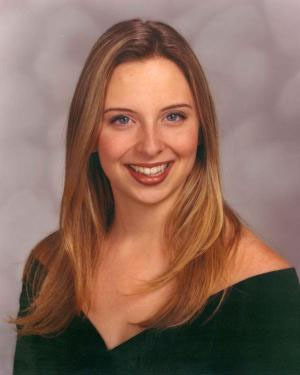 When she was looking at colleges, Ashley fell in love with Athens, and the University of Georgia quickly became her first choice for school where she was a member of Sigma Kappa sorority and graduate in 2004. Ashley grew up in Louisiana and New Jersey, but enjoyed living in the South where she fell in love with Athens. Even after she moved to Savannah, Ashley regularly returned to to the city of Athens. She rarely missed a University of Georgia football game. She was a newlywed, so she was looking forward to coming home and buying a house. After the leave, that's what she was focusing on. In Iraq, she was working to create that country's police force and had a promising career in the Army and whatever else she chose to do later. She had only been married about a year. She was 23. 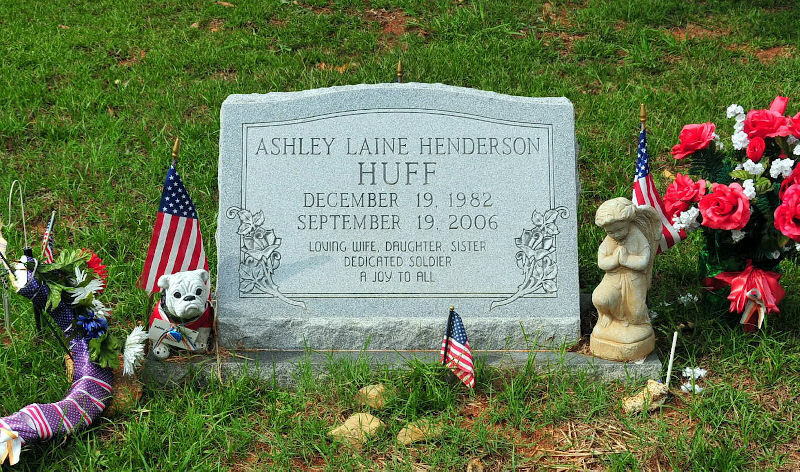 ​First Lt. Ashley L. Huff, whose maiden name was Henderson, had been scheduled to return to her home in Georgia in about six weeks. 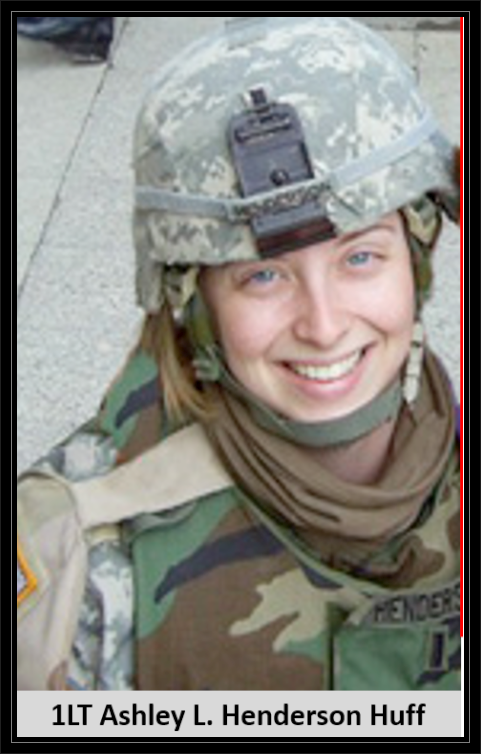 The 23-year-old was assigned to the 549th Military Police Company, 385th Military Police Battalion, based out of Fort Stewart, Ga.
During the late 1990s, she lived with her parents, Mark and Janet Henderson, on Cobblestone Court in the Belle Mead section of Montgomery Township, New Jersey. After high school, she relocated to Athens, Ga., to attend the University of Georgia. After graduating from there in 2004, she moved to Savannah, Ga. Her parents now live in Buford, Ga. In Iraq working to train that country's police force, she was killed Sept. 19 when a suicide bomber detonated an explosives-laden car near her patrol, military officials said. A memorial service was held yesterday for her at Fort Stewart. Ashley Huff grew up in Louisiana and New Jersey, but she enjoyed living in the South, her father said. She married her husband, Brian Huff, about a year ago. "She was a newlywed, so she was looking forward to coming home and buying a house," Mark Henderson said. "After the leave, that's what she was focusing on -- coming home." Even after she moved to Savannah, she regularly returned to Athens. She rarely missed a University of Georgia football game. "They were big Dawg fans," her father said. 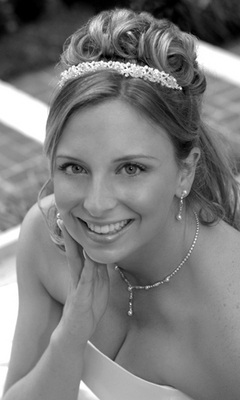 A 2004 graduate of UGA, Ashley Huff was a member of Sigma Kappa sorority. The perils of serving in Iraq grew painfully clear to Huff on June 18, 2005, when her friend and fellow UGA Army ROTC classmate, 2nd Lt. Noah Harris, was killed in combat. Huff spoke at his memorial service at UGA. 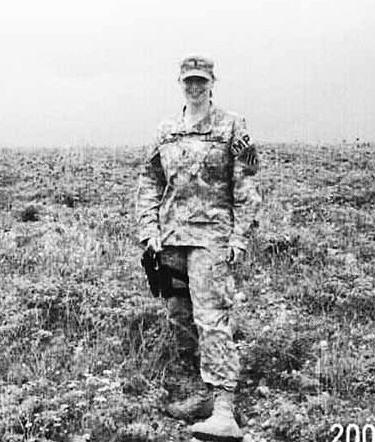 "We're always told we have to be strong as leaders when this stuff happens, but it's so much harder knowing what a great friend I just lost," she wrote in an online memorial for Harris, when Huff herself was a second lieutenant. "She was a happy person, a good leader," Mark Henderson said. "She was very caring about her soldiers -- well respected by them and by her commanding officers. She had a promising career in the Army and whatever else she chose." The American dining facility in Zaytun, Iraq was renamed after her, and a memorial display was set up.